After completing his degree in Civil Engineering at Northwestern University outside Chicago, Ed moved to San Diego to serve as an officer in the US Navy. In 1988 he transitioned to real estate and soon started a family. Ed and his lovely wife Julie are raising two boys, Nathan and David. He’s a proud father as they’re both active in sports and are honor roll students. 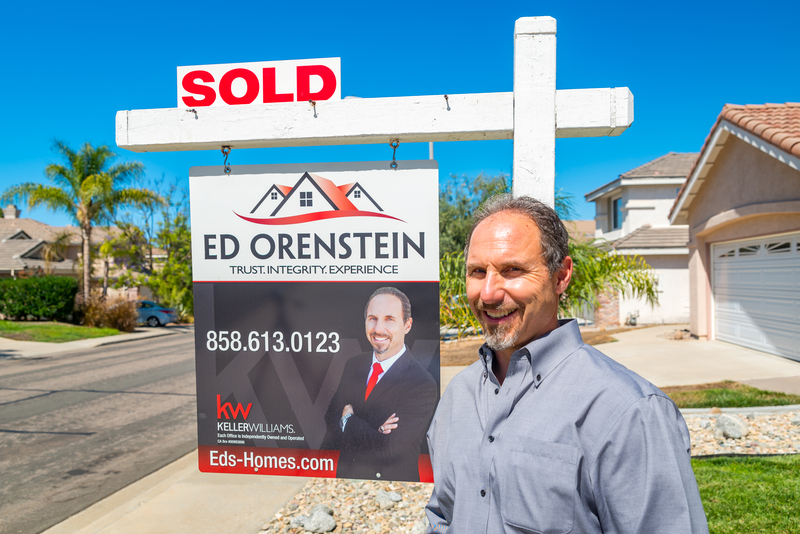 “I’ve been selling homes throughout San Diego County for the past 29 plus years, and I continue to feel joy each time I help someone with their real estate goals.” With over 900 homes sold, Ed’s experience has been put to the test time and time again. He’s continually thankful for the tremendous support he receives each year from past clients. In addition to his dedication to real estate, Ed is a strong believer in giving back to the community, and supports various charitable causes. A family man, Ed knows what it takes to make a house a home. It’s more than just four walls and a roof over your head; it’s a feeling of safety, warmth and comfort for your family. Let Ed show you how, with unparalleled services for buying and selling real estate in San Diego, he is delivering first class service for all his clients.